William Ewart Gladstone (1809-98) and Benjamin Disraeli (1804-81) are generally thought of as the two greatest British Prime Ministers of the 19th century. They were both statesmen and politicians of the highest rank who made enormous contributions to the well-being of their country. And they absolutely loathed each other. It could be said that the greatness of both men was largely due to that loathing, as each was determined to outdo the other over a period of at least thirty years. The mutual hatred was only partly political, Disraeli being a Conservative and Gladstone a Liberal, as the two men were very different in personality and character. Although they were both highly intelligent and ambitious, Disraeli was a man of wit and dash, a latter-day dandy who enjoyed the good things of life, whereas Gladstone was serious-minded and unimaginative. It would be hard to picture Gladstone sitting down to read a novel. Disraeli wrote them. Gladstone was greatly admired by many in his party and beyond, who accorded him the nickname of “Grand Old Man”, or “G. O. M.” for short. Disraeli reckoned that the initials stood for “God’s Only Mistake”. One problem that Disraeli always had was that he was a political outsider. He was Jewish by race, although his father had him baptised as a Christian when he was 13, otherwise his later political career would have been impossible. His features were “un-British”, his father having descended from a family of Arabian Jews and his mother being Italian. His background was middle-class and his education patchy. In his youth he had tried to invest in South American silver mines, but was financially ruined when the mines turned out to be worthless. By contrast, Gladstone came from a solid upper-middle-class family of wealthy merchants. He was educated at Eton and Christ Church College, Oxford; although not an aristocrat by birth he followed the same course as many who were. He started his political life as a Tory, being opposed to democratic reform and the abolition of slavery. Disraeli’s career as a Member of Parliament got off to a shaky start. He was elected in 1837 and made a very poor maiden speech that was dismissed with laughter and jeers. One of the jeerers was William Gladstone, who had five years’ more political experience despite being younger than Disraeli by five years. The first political issue that divided the two men was that of protectionism versus free trade. In 1846 Gladstone and Robert Peel supported repeal of the Corn Laws that had prevented cheap grain from being imported and thus lowering the price of bread. 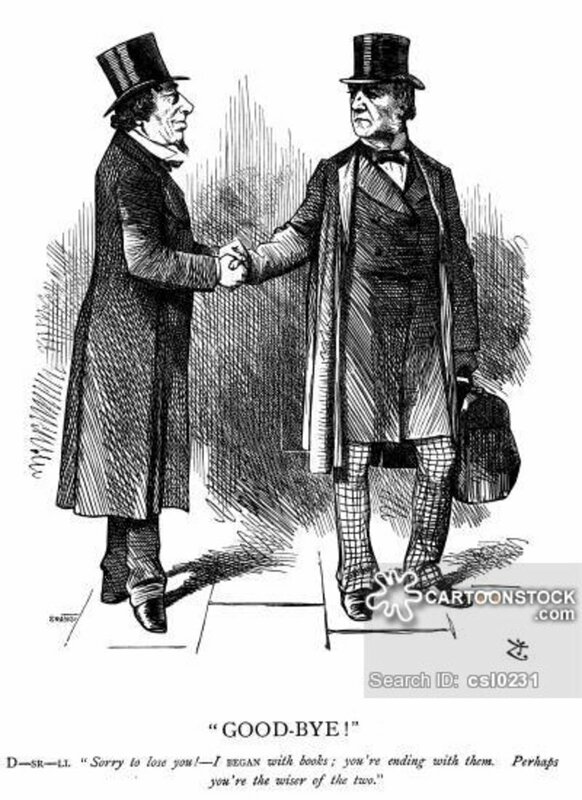 The issue split the Tory Party (now known as the Conservatives) with Gladstone being one of many “Peelites” while Disraeli stayed put with those who opposed the repeal. So many talented MPs followed Peel that Disraeli was left as one of the few politicians of note who were capable of leadership on the Protectionist side. He therefore became the Conservative leader in the House of Commons by default. In 1851 Disraeli became Chancellor of the Exchequer in the Conservative government led from the House of Lords by Lord Derby. He had little idea of how to run the finances of the country, any more than he could keep his personal affairs in order. On 3rd December Disraeli presented his budget, which included several controversial points. In his speech he made a number of personal remarks about members of the opposition, including Gladstone. This clearly infuriated the younger man, who promptly lectured Disraeli about his bad manners. Gladstone also tore the budget apart, which was then voted down, leading to the immediate fall of the Government. Gladstone was now Chancellor of the Exchequer in a Whig-Peelite coalition. By tradition, the outgoing Chancellor handed his robe to the incoming one, but Disraeli refused to do so. However, when he once again became Chancellor, in 1858, he had his own robe ready to wear. Disraeli was the first of the two to become Prime Minister, which he did in 1868 when Lord Derby resigned on health grounds. Disraeli had been very effective in steering the 1867 Reform Act through the Commons, even attracting Gladstone’s reluctant admiration. However, the new Act called for a fresh general election, at which a large number of new voters had a chance to play a role in changing the political complexion, which they did by voting the Liberals (the name now used by Gladstone’s Peelite/Whig coalition) into power. Gladstone stayed as Prime Minister until 1874, instituting a series of major reforms including his “mission to pacify Ireland”. Disraeli continued as Leader of the Opposition and spent the six years (when not writing novels) being a constant thorn in Gladstone’s flesh, but without ever sparking a major row. When Disraeli returned to power in 1874, this time for an extended stay in the Prime Ministerial role, he proved to be just as reforming as Gladstone, even taking over many Liberal policies and making them his own. However, hostilities between the two men were to flare alarmingly in 1876 when the Ottoman Turks put down a rebellion in Bulgaria with excessive force. There were reports of terrible atrocities committed on the civilian population, with as many as 12,000 being killed. Disraeli claimed that the reports were exaggerated, but Gladstone went to great lengths to publicise the “massacre” and published a pamphlet entitled “The Bulgarian Horrors and Question of the East”, which had a wide readership. For the 1880 General Election, Gladstone stood for the Midlothian seat in Scotland, which he cultivated in advance by making a series of long political speeches in the constituency. The “Midlothian Campaign” has been called the first modern political campaign in that Gladstone took the issues of the day out of the House of Commons and into the public domain, as well as vilifying his chief opponent on every conceivable occasion. He took Disraeli to task not only for Bulgaria but also for Britain’s military ventures in Afghanistan and South Africa. Gladstone consequently won the 1880 election and became Prime Minister for the second time. Disraeli could not bring himself to congratulate his rival, only conceding that his defeat was caused by “the distress of the country”. By this time, Disraeli (who had been ennobled as Lord Beaconsfield in 1876) was a sick man and he only had a year more to live. He died on 19th April 1881. As Prime Minister, Gladstone was obliged to give a eulogy in the House of Commons to a man he had detested for decades. He confined himself to talking about Disraeli’s “strength of will, long-sighted consistency of purpose, remarkable power of government and great parliamentary courage”. He later admitted that writing and delivering this speech was the hardest task he had ever had to undertake. Gladstone had more work to do in Parliament, serving two further terms as Prime Minister and only finally stepping down in 1894 at the age of 84. He died on 19th May 1898, aged 88. The rivalry between Disraeli and Gladstone was settled in the former’s favour in the eyes of Queen Victoria. She had taken an immediate liking to Disraeli when he first became Prime Minister, as he had the gift of being able to listen to and empathise with people at all levels. The Queen had needed a friend to replace Prince Albert, her much-loved husband, who had died in 1861 and caused her to withdraw entirely from public life. Disraeli’s arrival as Prime Minister in 1868 started the process of her “restoration”. However, the Queen was far less impressed by Gladstone, who was soon to replace Disraeli as her chief minister. Whereas she had enjoyed her weekly meetings with the charming Benjamin Disraeli, she complained that Gladstone “addressed me as though I were a public meeting”. Her dislike of Gladstone even went to the extent that, when the Liberal party won the 1880 election, she wanted Lord Hartington, the party leader, to be Prime Minister and had to be persuaded to ask Gladstone to form a government. It cannot be disputed that, of the two men, Disraeli was the more personable and likeable. However, although Gladstone might have given the impression of being stern and unbending this was partly a front, put on to hide a basic insecurity and shyness. He was capable of great generosity, as evidenced by his private work to help prostitutes escape from their pimps. He spent huge sums of money on this campaign, which was carried out in great secrecy and at personal risk to himself as he patrolled the London streets at night and helped prostitutes, some of them only children, to find a safe refuge. They may have been the bitterest of rivals, but Gladstone and Disraeli were certainly two of the greatest politicians that Great Britain has ever had.